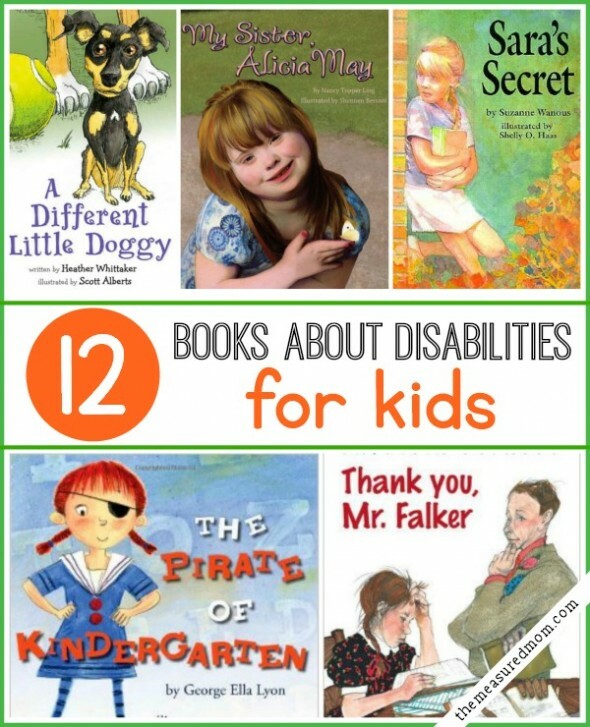 If you’re looking for children’s books about disabilities, you’ll appreciate the variety of titles in this post! Disability. Noun. A physical or mental condition that limits a person’s movements, senses, or activities. What qualifies as a disability? Most of us would agree that Down’s Syndrome, blindness, and cerebral palsy fall under this umbrella. What about autism or ADD? For the purposes of this post I have included books which describe children whose differences may make it challenging for them to do things most people take for granted. That may be the ability to see, walk, learn, understand social cues, or pay attention. Do you have someone in your family or circle of friends with a disability? One of these books may strike a chord with you – or perhaps a nerve. Please use the Comments section to help us understand your perspective. I’ve shared these books with my children to help them understand differences among people and how to be a friend to those who are different than they are. Because of the importance of the topic, my reviews are longer than what I’ve written in my other book lists. I hope these children’s books about disabilities will help you begin some important conversations! 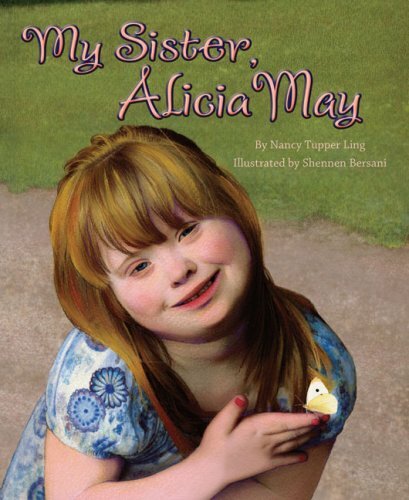 This is a wonderful book written from the perspective of Rachel, whose younger sister has Down Syndrome. Alicia May is a lot like other six-year-olds. She likes dogs and horses, paints her toenails, and studies bugs. She can also be hard to have around – like when she doesn’t understand that the kids on the bus are teasing her – and does whatever they tell her to do. Rachel appreciates her sister’s special qualities (like a sharp memory and the way she always says hello) and learns to stand up for her when others tease. This book is based on the real-life relationship of Rachel and Alicia, close friends of the author. The story and illustrations will grab your heart. This is a simple story perfect for teaching kids about how their friends with autism are different than they are – and that it’s okay. Nick has a friend with autism named Zack. Zack loves airplanes – and talks a lot about them, repeating the same facts over and over. When Zack is focused on something, it’s hard to get his attention. He is bothered by the loud noises at the airport and doesn’t like people to touch him. But, as Nick points out, he’s also a good friend who can beat him at video games and share his love of model airplanes. A weakness of this book is that it doesn’t go into depth about Zack’s qualities and abilities. We know he loves model airplanes, but that’s pretty much the extent of it. 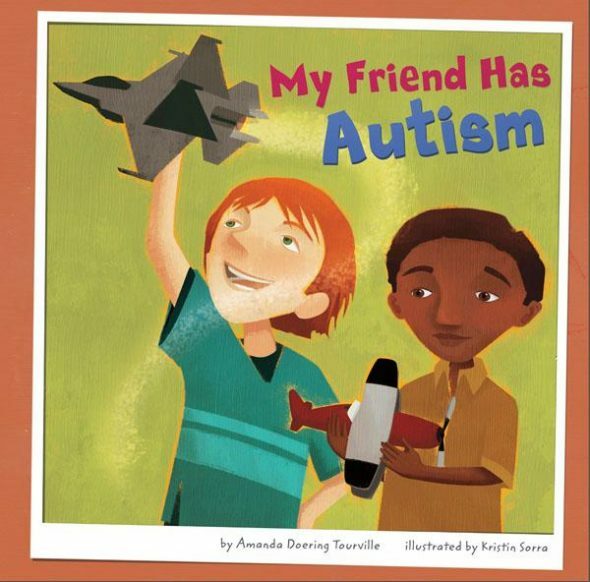 Some Amazon reviewers with autism felt that this book wrongly depicted autism as a disease and depicted children with autism as people to be tolerated. Read with caution. Have you heard the saying, “If you know one child with autism, you know one child with autism”? That’s a good thing to remember when reading this book – it’s the picture of one child with autism, a condition which can look very different from person to person. Unlike the boy in My Friend Has Autism, Ian is nonverbal. His older sister Tara takes him on a walk and is embarrassed that he stares at the ceiling fan in the drugstore, puts his nose against the bricks by the post office, and lies on the ground with his ear to the cement. But when Ian disappears, and Tara finally finds him, she sees things in a different way. This is a good book for siblings who may be struggling with their feelings about a sibling with a severe disability. The accepted terminology for people with disabilities keeps changing, and I’m not sure that I’m keeping up. 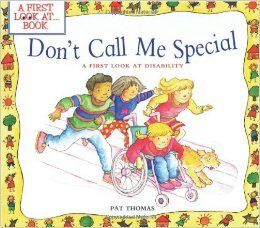 This book (published 2002) states that many people with disabilities dislike the being called ” special” because it makes them sound too different. This book encourages children not to make assumptions about other people. It explains how disabilities can come about, how children with disabilities can get the help they need, and how we are all very much the same. This is an honest book about children with severe disabilities. 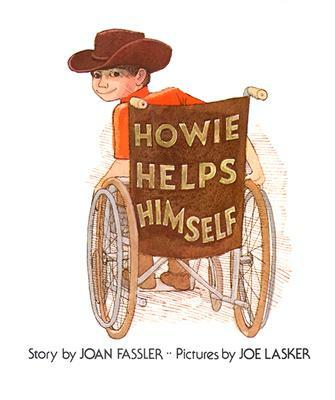 The book begins by talking about what Howie likes and goes on to say the things that Howie cannot do. It’s a long list. He can’t walk without holding onto something, he can’t hold a pencil to write his name, drink his own milk, or build with blocks. Howie’s family helps him do the things he can’t. His mother helps him put on his socks, his sister draws funny pictures for him, and his grandmother takes him on walks and chases after the ball he pushes off his lap. Some Amazon reviewers felt the book was too dated and negative. Since the book was published in 1975, you may need to talk to your child about how the wheelchairs and other equipment that children use are different today. But I appreciated the honesty in the story. Having a severe disability isn’t easy, and it’s okay to acknowledge that — while also celebrating successes that may seem small to the rest of us, but mean the world to the child who achieves them. When Sara joins a new school, she doesn’t want anyone to know that Sean is her brother. They might make fun of her like they did at her last school. But one day her teacher begins a discussion about disabilities. 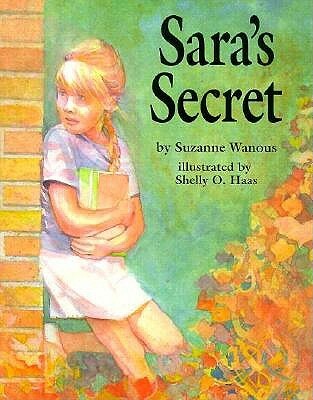 As Sara listens, she is troubled when her classmates talk about how the children in the special ed class are “slobbery.” The teacher tells the students to bring something to school that would help a person with disabilities. Such a wonderful story with a beautiful ending! Recommended especially for older children who have siblings with severe disabilities. Sometimes it’s best to approach difficult topics from a lighter perspective. This gentle book, written for children ages 4-8, is the perfect springboard for a discussion about differences at home or in the classroom. 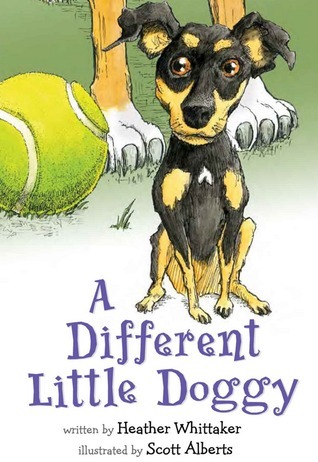 A Different Little Doggy is the true story of Taz, a dog who is different from her friends in many ways. She is tiny, has pins in her knees, and her ears are floppy instead of standing tall. Later in the book we learn that Taz becomes blind without warning. I highly recommend the classroom curriculum for the book, which shares some truly excellent ideas for helping children recognize and celebrate differences in themselves and others. 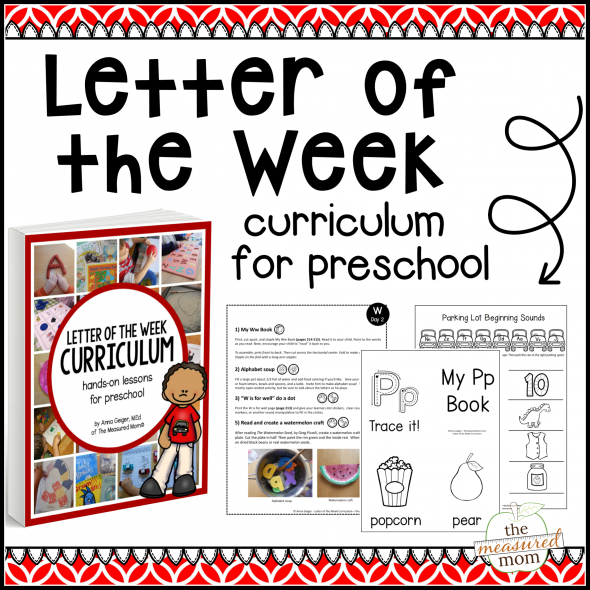 It’s designed for use in the primary grades and can be purchased here. * I received a free copy of “A Different Little Doggy” and was compensated for my time in exchange for an honest review. All opinions are mine! This book is a perfect follow up to A Different Little Doggy because it features real children with different disabilities – and focuses on what they can do. Five-year-old Gina with spina bifida plays with her dollhouse and rides a special bike. Four-year-old Sarah, who is blind, can read her name in Braille and pour her own juice. 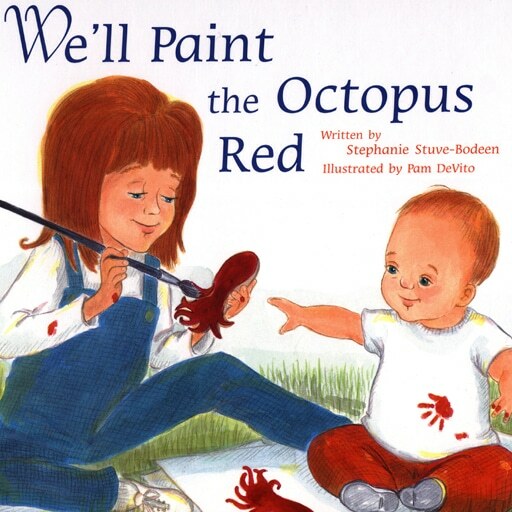 Because the children in the book are all preschoolers, I recommend this book for children ages 3-6. This book is a much lighter story than some of the others in this list. Ginny is a kindergartener who loves school. Reading Circle is her favorite, but it’s hard to know where to sit (there are so many chairs!). When she runs into a chair, someone always laughs. She loves to read, but her eyes play tricks and she reads each word twice. When Vision Screening Day arrives, Ginny learns that she has double vision. 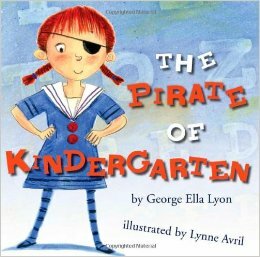 Ginny becomes a kindergarten pirate when she wears a patch to school. Now she can do read, do numbers, cut, and even take a seat without knocking over a single chair. 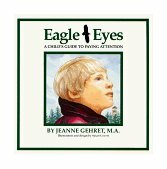 The author wrote this book after her son was diagnosed with Attention Deficit Disorder and learning disabilities. It acknowledges the difficulties that Ben experiences at home and school because he has trouble controlling how he moves and thinks. He learns that he’s not a clumsy bad kid, but a gifted boy with a special way of seeing the world. Ben learns to manage his ADD with medication and behavioral techniques. Christy is told by her mother to “be good to Eddie Lee” because he is lonesome and different. Eddie Lee, Christy’s neighbor, has Down Syndrome. Christy is uncomfortable around Eddie Lee and not exactly friendly, but her friend JimBud is truly mean. Most of us have seen children or adults with disabilities get teased or made fun of. It’s hard to see. It’s hard to read about. In the end, Christy appreciates Eddie Lee – both his genuine friendship and his ability to do something she can’t. Some Amazon reviewers felt the book was condescending and stereotypical. I don’t agree, but you’ll have to read it for yourself. I recommend this book for children ages 8 and up. It’s a little harsh for young listeners. Six-year-old Emma is excited to get a new brother or sister. She has a list of a “million things” she’ll get to do with her new sibling. But one day her father wakes her up. His eyes are red. “There’s something you need to know about the baby. Isaac has been born with something called Down Syndrome.” Emma doesn’t quite understand, but she thinks she knows what he means – her new brother won’t be able to do any of the things she’d been counting on. The reviews on this one were mixed. Personally, I appreciate the acknowledgement that Mom and Dad might be sad, but that a family’s love and support can help a child accomplish many things. 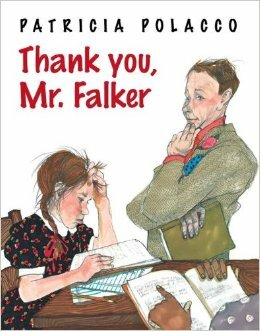 Until the day when she gets a new young teacher – Mr. Falker. He praises her drawings and defends her when her classmates tease. Most of all, he gets her special reading help after school so that after several months, she is able to read all on her own. It’s a long book – not for preschoolers – but a tear jerker for sure. Especially since it’s a true story about the author who makes a living writing and illustrating children’s books! Thank you for the detailed reviews of these books, Anna. This is SUCH a great book list! I’ve pinned it to my Children’s Books board and shared on my blog’s FB page. Thanks so much! I really enjoyed putting this one together. ‘Tom’s Special Talent’ is another good one to add to your list to represent younger children with dyslexia. My son was diagnosed with moderate to severe dyslexia and dysgraphia at 6 1/2. Remediation with Orton Gillingham literacy therapy takes at least two years. School should provide this remediation, as literacy is one of the primary skills our children should be learning. They should be promptly identified and given appropriate remediation, just like a child with speech articulation difficulty and gifted children. Dyslexia affects 15-20% of the population and is largest category (often labelled SLD) represented in our special education population. Teachers need more training in these learning differences and effective multisensory teaching methods in undergrad coursework to raise understanding, effectiveness and sensitivity in educating this population. Thank you for that recommendation, Sue! I definitely agree that teachers need more training in this area. I think it’s wonderful of you to have taken the time to read these books and give us a synopsis of them. I wanted to say that the book written in 1975 that you said may be dated in that newer accommodations are available today for persons living with a disability may still be not that off. The outcome for people needing assistive technology depends on accessibility to the most innovative equipment they can afford. It may be out of the realm of some families to have power chairs or other equipment because of financial constraints. Thanks, Peggy, I hadn’t thought of that! I think this list is missing Susan Laughs by Jeanne Willis! Thank you for the recommendation! I will have to look that one up. I loved your booklist! As a teacher, I find this very useful. I was just wondering, how did you get the images of the books for your booklist? Did you require permission or did you copy the covers online? I am only asking as I would like to put together a list of my own and would love to have the image covers. You did such a great job! Hello, Joanna! I am permitted to use the book’s covers because I am an Amazon affiliate, and the links for the books go to Amazon’s website. I’m not sure how it works if you are not an Amazon affiliate. 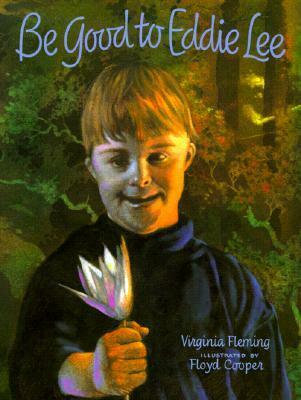 Jewel Kats has numerous childrens books in which the main character has a disability. Her latest is Hansel & Gretel: A Fairy Tale with a Down Syndrome Twist. Thank you for sharing a new title with us! “ACC and Me” by Kathryn J. Schilmoeller, PhD and Lynn K. Paul, PhD; Illustrated by Cindy Mauro Reisenauer. https://squareup.com/market/national-organization-for-disorders-of-the-corpus-callosum. Thank you for that recommendation, Lucie! I would like to recommend a new ebook to you that both of my sons have loved, not only is it an adventure story but its very funny throughout. The ebook is called Four Wheeled Hero by Malcolm Brown and is available on Overdrive (check under Self Publishing Section), Baker & Taylor Blio/Axis 360, Kobo, Gardner Library, Askews &Holts and Barnes & Noble and Amazon ISBN 9781310425820 . I have copied the details below to give you a better understanding as to what the book is about. Thanks so much for sharing! We’ll have to check it out! Hi….I have just published a wonderful new childrens illustrated book titled “Pepper the Amazing Therapy Dog.” It is a true story of an adopted shelter dog, Pepper and her journey to becoming a therapy dog and how she gives back by working in a high school moderate to severe special ed. class daily. This book teaches general ed children that we all have gifts regardless of how we appear. Please look for it on Amazon.com and ENJOY! Elliott based Just Because on her son Toby and daughter Clementine, who has severe cerebral palsy. It is a gentle, touching book about being loved for who you are, as you are, while promoting the positive aspects of people with special needs. It subtly encourages children to understand and adopt positive attitudes towards siblings as well as people with disabilities. She’s garnered heaps of well deserved awards and accolades which you can find on her website. Thank you, Cathy! I just requested it from my library. “The A in Autism Stands for Awesome” by Lindssy James is a new children’s book available on Amazon.com that enables the reader to appreciate what an autistic child has to offer. The story describes the warm, upbeat relationship between two children, with one having autism. The book will transform the reader and should be at the forefront of autism awareness for many years to come. Thanks so much for passing that along! Hello, Sara! I’m so glad you were encouraged by this book list. Like most people, I hadn’t heard of Erb’s Palsy until now. Thank you for educating me about that. If I ever see the book that you’re looking for I’ll add it to this comment so you’ll see it. Blessings to your family this summer! I haven’t read the other books about autism yet but my daughter recently loved reading “Lucy’s Amazing Friend.” We’ll have to check out the other ones listed next. Thank you Britney! We’ll have to check out “Lucy’s Amazing Friend” too. My daughter has a neurological condition called dystonia. I’ve found that few people have heard of it despite it being so common. “Never Look Down” by Zachary Weinstein and Alyssa Dver is a wonderful book written from Zachary’s perspective when he was diagnosed at 12 years old. It can be purchased through the Dystonia Medical Research Foundation. Thank you for that recommendation, Gail! I’ll have to look into it; dystonia is new to me, too. There are not many children’s novels about dysgraphia, so I wrote one. Jamie Ireland is a ten-year-old who is a fast runner and a bad speller. She learns to develop her talents through a family recipe for apple pie. And along the way she discovers her own verve. Can you add Sky’s High Dreams by Skylar Overman? It’s a picture book about the rare birth defect, Schizencephaly. The book was part of Skylar’s bucket list, and she is currently in hospice care. The book is available on Amazon and other major retailers. You should add ‘Meet Will and Jake, Best Buds Forever’ to your list! 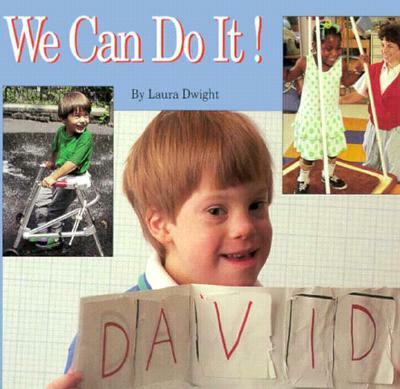 A great book written by an Infant Development Worker and a Parent’s Group who all have children with Down syndrome.